Salman Khan rejected Baazigar and it went to Shah Rukh Khan, a fairly new actor in the Bollywood industry. The rest, as they say, is history! One actor's loss is other actor's gain in the film fraternity. More than often, big stars turn down movies and the role sometimes establishes a newbie. Today, Shah Rukh Khan has turned down a project and looks like it's going to the actor who has recently made it to the Rs 100-crore club, earned the applause from critics and the audience. Reportedly, Shah Rukh has opted out of astronaut Rakesh Sharma's biopic, Saare Jahaan Se Achcha. SRK hasn't given any formal statement regarding this. But if the rumours are anything to go by, he is more keen on working on Don 3 and also, after the not-so-good performance of Zero at the box-office, he isn't quite willing to play an astronaut onscreen again. I am sure you're curious to know who's going to step into Rakesh Sharma's shoes now. It's Vicky Kaushal! Yes, as per the sources the Uri actor will be seen playing the lead in Saare Jahaan Se Achcha. How's the Josh? I'm guessing super high! The original choice for the film was Aamir Khan and Priyanka Chopra was supposed to play the leading lady. Aamir turned down the project as he didn't have the dates for the film. He suggested Shah Rukh's name to the makers of the film saying, "Shah, you should hear the script, it is fantastic. It will be right for you if you like it." 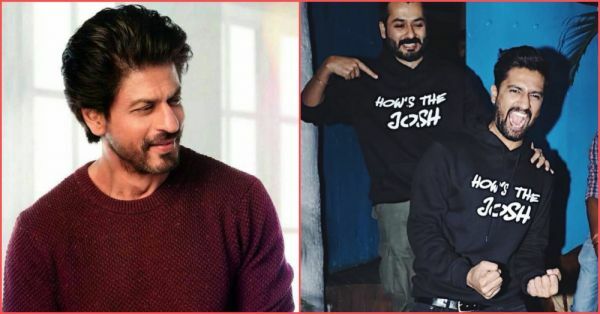 Shah Rukh excitedly took the project saying, "I thank Aamir, who was to do the film for calling me and telling me about the role as it would suit me. I will try and spend time with Rakesh Sharma." But looks like the film was in Vicky's stars. The actor is currently basking in the success of Uri: Surgical Strike and leaving his fans wanting for more. Read our review of Uri here. On the personal front, the Masaan actor admitted on Koffee With Karan that he's in a serious relationship and we now know who the lucky woman is! 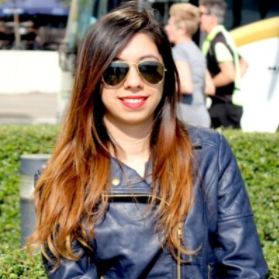 Read about Vicky and Harleen Sethi here.